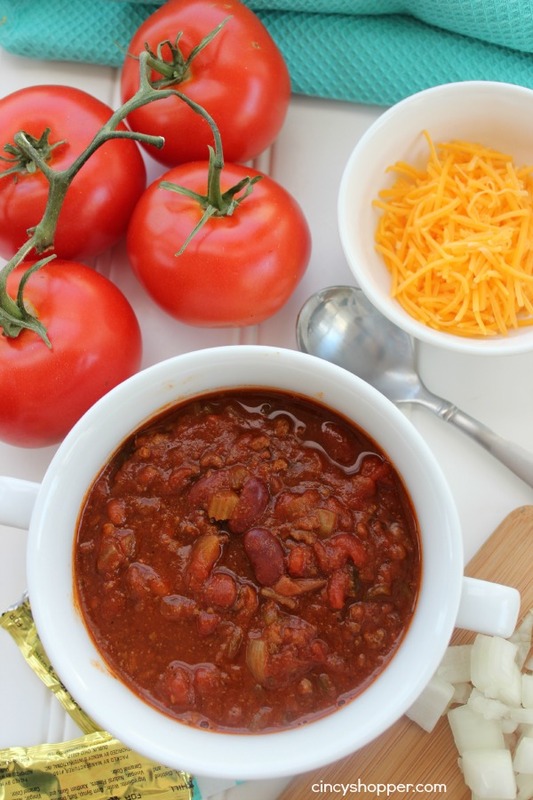 This CopyCat Wendy’s Chili is going to be your new favorite at home chili recipe. It is officially ours, for sure! During high school and college I was one of those lucky Wendy’s Crew employees. My first and probably my biggest learning experience over any other job I have had in my life. I was blessed with an extremely strict and “by the book” type of boss who taught me just about everything I needed to know in life. I will admit I did not really like her at first and actually even had a fight with her in the beginning, ha ha! It was not long before she took me under her wing and taught me so much about business. Not just fast food business but REAL business. If I ever needed to pick one person to be my mentor in any large project, she would be in the running for the position. Ok, enough about my life, ha ha! On with the chili! I think I have made way too many to count batches of chili while doing my time at Wendy’s (did I mention that they were a wonderful company/franchise to work for? ha ha). I spent my time chopping grilled meat (if you were every a Wendy’s employee you know that’s how you spend some of your down time, lol). I stirred my share of stock pots loaded up with chili goodness. The chili really does have a unique taste and it is due to the ingredients and how it is made. 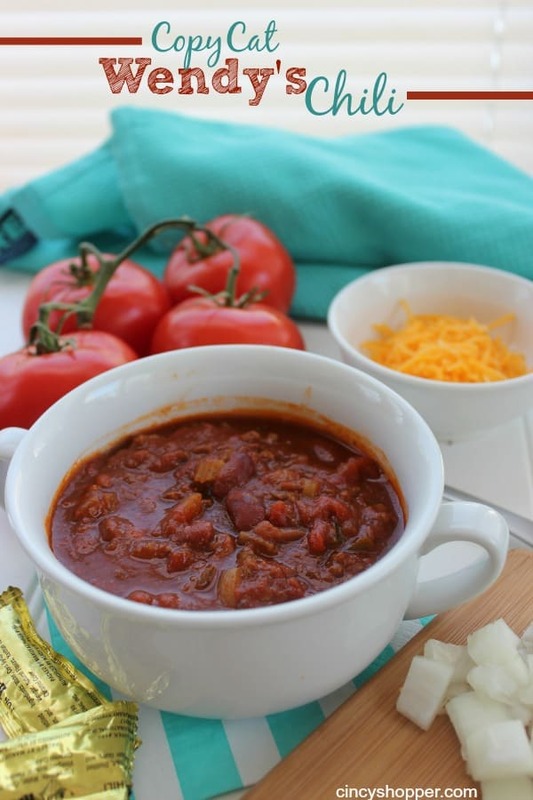 Follow my recipe below and I think you will find that the hubby and I tweaked it and came up with a pretty darn close CopyCat Wendy’s Chili for all of you. I will admit it took a couple of failed batches but, I think this one really turned out perfect. 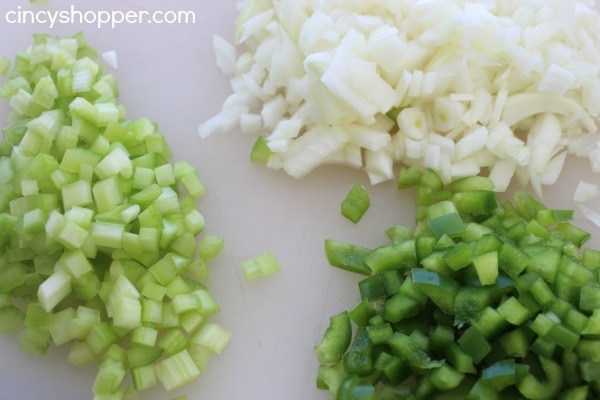 Bring to a boil, reduce heat, cover and simmer for 2-3 hours stirring every 15 minutes. I have already consumed one bowl and I think it is time to consume another, ha ha! It is so cold here in Cincinnati today. So cold that my water pipes almost froze today and we have NEVER had that problem (But an excuse to have some fancy new garage doors installed, ha ha). Chili is perfect for our dinner menu tonight. I am hoping that the kiddos did not devour all my bread so I can enjoy some chili dipping, lol. 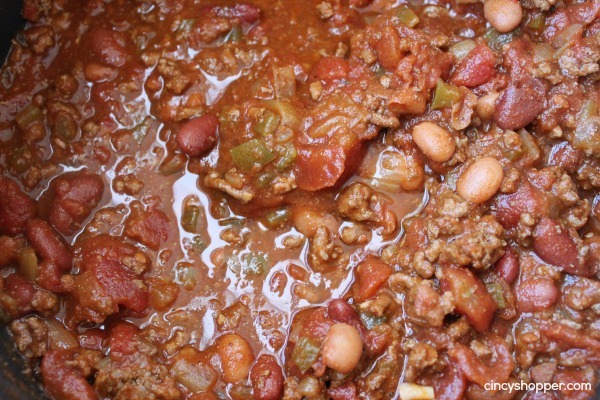 If you enjoy Wendy’s Chili as much as I do, be sure to give this recipe a try. You can serve it up with onions and cheese but it is just pure goodness without it. 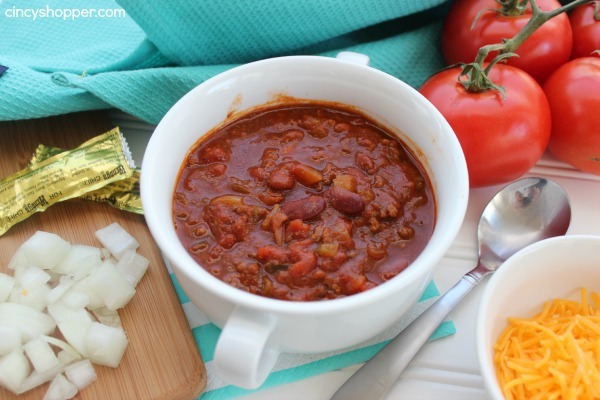 Such a warm and comforting chili with the hints of spice but not too much. I will admit that I like to kick it up a notch with Wendy’s Hot Sauce and a few Wendy’s cracker packages for dipping. Do you add Hot Sauce or Do you like your Wendy’s Chili as it is served? I had quite a bit of fun with this CopyCat Recipe and am looking forward to doing up more. Restaurant food can be so good, it’s just fun trying to figure out how to make a perfect CopyCat version. Looking for other great recipes I have shared? If so, see them all here. love love love wendy’s chili. I remember when my cousin (who also worked at wendy’s) told me their chili was made with chopped up cooked hamburgers that hadn’t been used. I couldn’t believe it! anyway, anxious to try your recipe. any idea of what goes into those little ketchup size packets of “chili seasoning” (think that’s what it’s called). I remember tasting vinegar and not sure what else. thanks for the post! This may sound like a silly question, but the water you added to the cooked hamburger…was that the 2 cups the recipe calls for or just some added water to boil out more fat? Is the water called for in this step the 2 cups of water mentioned in the ingredients list? Thanks again. 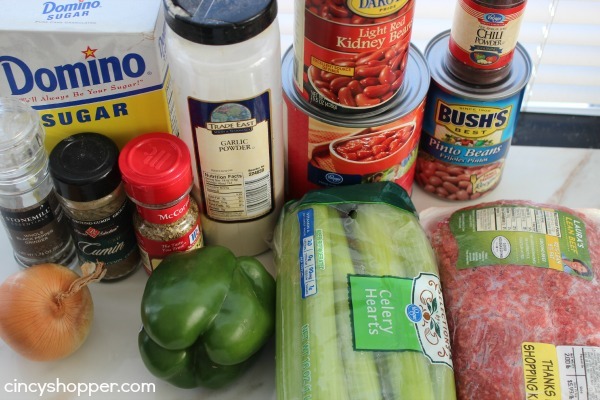 Jen this is my GO TO recipe for chili and everyone who eats it gives it rave reviews!! I have even gotten requests to make it for other households hahaha Great copycat! !